The perfect blend of luxury and comfort—this is what the Memorial Heights community offers. Located in one of the prime locations in Houston, Memorial Heights warmly welcomes you with a selection of luxury apartments that are equipped with great amenities and facilities. Finding Memorial Heights’ luxury apartments and condos is all about location, location, location. Conveniently close to the buzz of city life, the Memorial Heights neighborhood is like a city within a city. The emphasis on external style belies the exquisitely detailed interior décor of the apartment units in the area. The scenery is, of course, visually arresting, with spectacular views of the city line from the upper units. As for the city services, you can expect to find multiple options for grocery shopping, coffee shops, restaurants, and clubs for night-time fun. The Houston Neighborhoods Department is adjacent to the Interstate 45 and the I-10, and the River Oaks Country Club is just off Memorial Drive. Indeed, the Memorial Park region is well known for its proximity to city services, such that many residents in the area are used to walking to get to the many places they wish to go. The scenery shifts seamlessly from the more or less exclusive enclaves to energetic nightlife as you walk by luxury apartments in Houston, TX. Residing in one of this neighborhood’s luxury apartment will bring you to New Heights in apartment living! Choosing a Memorial Heights luxury apartment provides you with an awesome community, often in a limited access enclave that is nonetheless open to city and park views. There is an unmistakable sense of modernity and order in the layered architecture of the high rise units, often highlighted by stylish finishes. Some of the luxury units even have saltwater pools on the premises, with fireside lounges for fraternizing with families and friends. You can have your choice of 1, 2 or 3 bedroom units, as well as quality furnished studios, in nearly any area of the wide swath that defines the Memorial Heights neighborhood. As for your plans to go out on the town, there are plenty of places for grocery shopping and for experiencing the nightlife. 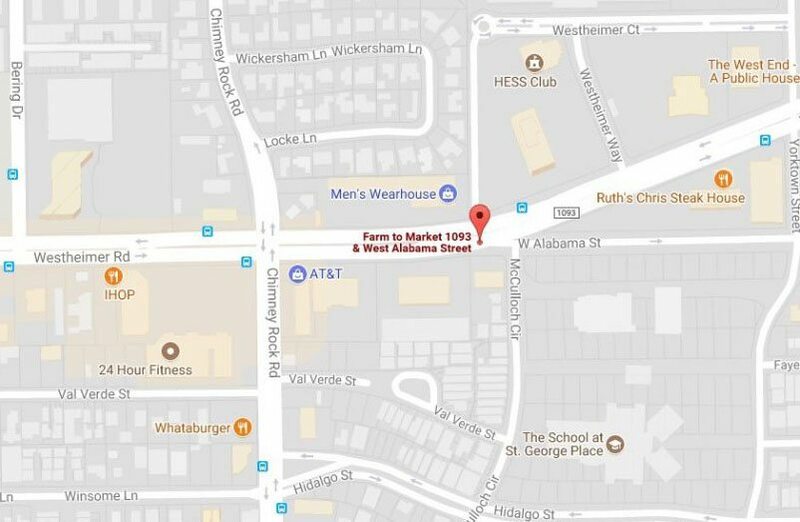 There is a Whole Foods Market in Kirby, the Central Market in Houston downtown, and a giant Target nearby. As for restaurants, Chatter’s Café and Bistro serves up 4-star (Google Reviews) Mediterranean cuisine on South Heights Boulevard. The 360 Sports Lounge is a popular place for young professionals and college students, as is Max’s Wine Dive. And of course, what is an upscale neighborhood without a coffee shop? At Memorial Heights, you are definitely getting your coffee fix. Here you are greeted by the internationally recognized Starbucks brand, as well as Inversion Coffee House, Catalina Coffee, Cosmos Café, epicure Café, and Daily Review Café in the River Oaks Shopping Center, and some in select apartment building lounges. Situated in one of Houston’s most central areas, Memorial Heights offers its residents easy access to almost all freeways of other desirable neighborhoods. This community is surrounded by other neighboring communities such as Montrose and River Oaks, The Heights to the North, and an area of The Galleria. Also, Memorial Heights runs mostly parallel to Washington Avenue and Buffalo Bayou! This means that you can just easily go around the neighborhood by car, by public transportation or on foot. For those who enjoy the nightlife, the best entertainment and dining experience just stands one after the other, perfect for a night of pub hopping. If you choose a luxury apartment in this area, Memorial Heights will surely meet your needs and expectations, from comfortable residential spaces to great recreation and entertainment destinations. Here, you can find the 124-acre Buffalo Bayou Park in the East end, which include the Eleanor Tinsley Park where the 4th of July, a 2-day music festival, and the “Freedom Over Texas” event are yearly celebrated. The Memorial Park is also found on the other end where you can play golf in the 18-hole golf course, jog in the 3-mile trail, and kayak in the Buffalo Bayou. If you want to chill and enjoy a drink or two, clubs and bars are around the corner and are literally just a stone’s throw away from your Memorial Heights luxury apartment. Also, award-winning restaurants like the Pass & Provisions are also in the vicinity, where you can enjoy bites with the family. If you are someone who enjoys going around the city, Memorial Heights is the perfect place to look for the best luxury apartments. Here, you can get just about anywhere in minutes. For car owners, you can smoothly take Memorial Drive, Washington Avenue or the Allen Parkway. Additionally, if you wish to commute, there is a Metrobus route along these roads that can quickly get you to the downtown area. For a nice weather, you can also enjoy a short pedal with your bicycle or rent one to get around the neighborhood or a long leisurely walk downtown. Unlike other Houston neighborhoods, the Memorial Heights community warmly welcomes dog and dog lovers. In fact, the pet-friendly Johnny Steele Dog Park has just opened and it features two sections that will separate large- and small-sized dogs. There are areas for running, shaded spaces, and seats for the pet owners. Memorial Park: This is the feature attraction of Memorial Heights and surrounding neighborhoods. Just inside 610 Loop, this park has it all—a stunning 18-hole golf course, softball, swimming, tennis, skating, volleyball, cycling, and several other amenities for great outdoor activities. There are beaten trails going through the woods, such as the Seymour Lieberman Exercise Trail, and the Houston Arboretum and Nature Center that beckon you to explore. Greater Houston Convention and Visitor’s Bureau: This is a central destination for anything you would want to do in the great city of Houston. The staff here will help you with events, finding the best restaurants, hotels, planning your travels, and more. To learn more about finding the luxury apartment of your dreams in Memorial Heights, contact JUVITAE Luxury Leasing at your earliest convenience. If you are searching for the best Memorial Heights luxury apartments, Julian and his team will seamlessly guide you through your luxury acquisitions. The JUVITAE Luxury Leasing Team will sincerely attend to your concerns and provide you with details other realtors might not be willing to do such as personal transportation to and from the airport or serve as guides who will assist you in quickly acclimating to your new city. Being able to provide customer service that encompasses a concierge attitude is paramount to Julian and his team. Clients’ reviews about their experience with JUVITAE Luxury Leasing emphasize that their relocations and acquisitions were seamless, enjoyable and satisfactory. In choosing your luxury apartment in Memorial Heights, Julian and his team will apply their expertise in strategic planning, logistics coordination, and negotiation and transaction management. 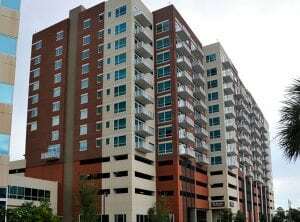 Are you now ready to find the best luxury apartments in Memorial Heights? Contact JUVITAE Luxury Leasing today and speak with a seasoned Luxury Real Estate specialist who will give you a sense of confidence greater than that provided by other real estate service providers. With JUVITAE, experience the luxury living that suits your lifestyle!